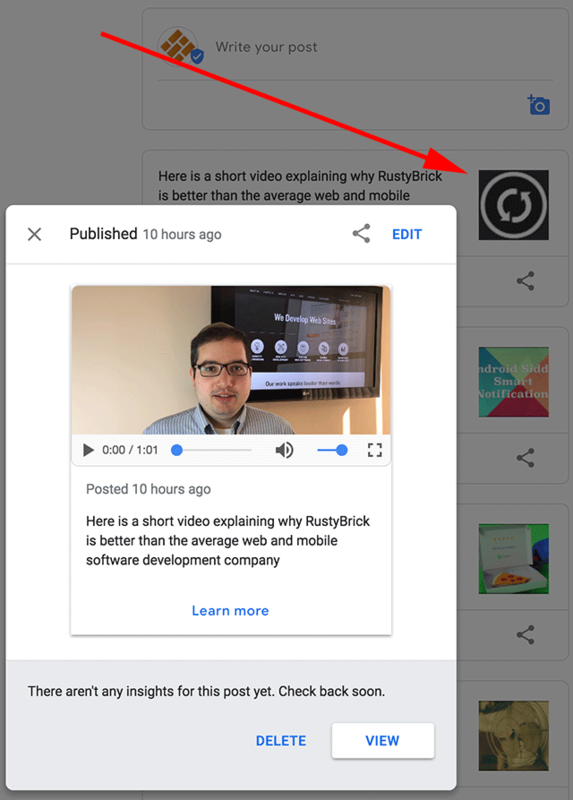 Last week we reported how Google said you can now upload videos to your Google Posts so they show up in your local panel. I, along with many local SEOs, have been trying this feature daily and has been sporadicly working on and off. 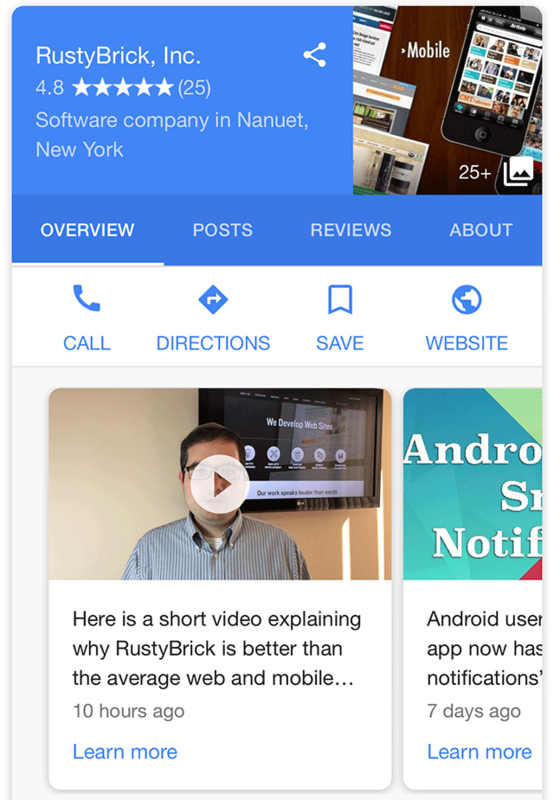 Well, now, at least at the moment, it seems it is fully functioning properly and now you can add Google Posts with video messages in your Google My Business section of Google Posts. You can see, I also now have that new layout. 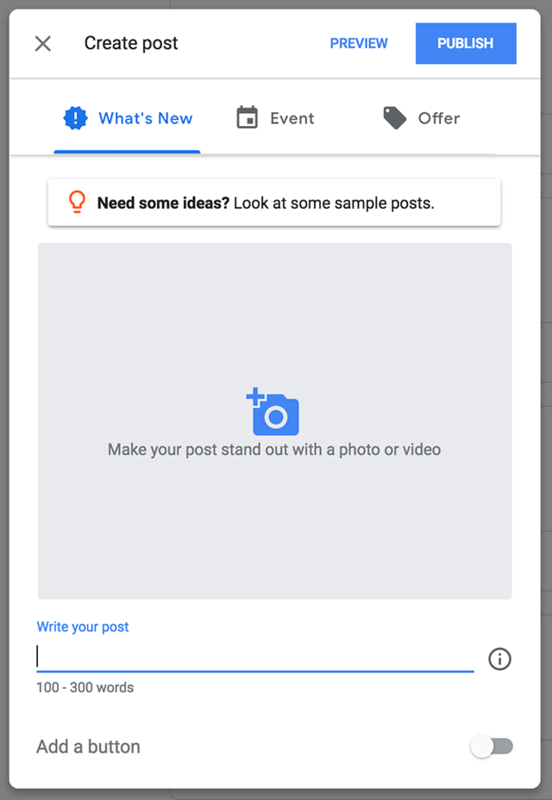 If you do not see "or video" then you probably cannot upload videos to your Google Posts. 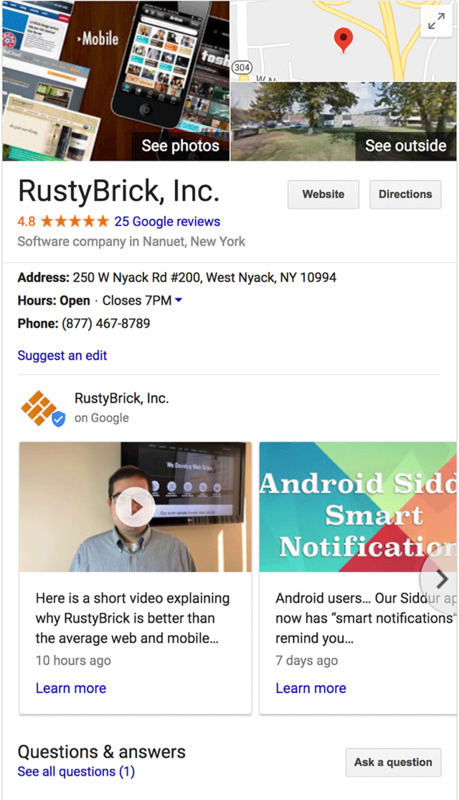 You can see it yourself by searching for [rustybrick] in Google.